This architects practice announces the completion of the Natural Resources Defense Council’s new Midwest Office, a project that raises the bar for sustainable spaces in Chicago and across the nation. In addition to its LEED Platinum rating, the new NRDC office is the first project of its kind to meet the Living Building Challenge, a rigorous certification program that exceeds the environmental standards of the LEED system. The architects office, led by renowned Chicago architect Jeanne Gang, has been selected to design a major new residence hall and dining commons on the north end of the University of Chicago campus, officials announced. Building: Inside Studio Gang Architects, the first solo exhibition dedicated to the work of this Chicago architecture practice, opened at the Art Institute of Chicago on September 24, 2012 and will run through February 24, 2013. New campus building to house the Arcus Center for Social Justice Leadership. The building, which is targeting LEED Gold certification, will be the “world’s first purpose-built structure for social justice leadership development”: a study, meeting, and event space where students, faculty, visiting scholars, social justice leaders, and members of the public will come together to engage in conversation and activities aimed at creating a more just world. 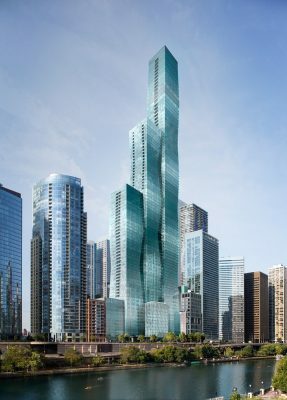 The Aqua Skyscraper Building is an 87-story mixed-use residential skyscraper in the Lakeshore East development in downtown Chicago, designed by a team led by Jeanne Gang with James Loewenberg of Loewenberg & Associates as the Architect of Record. The tower building was Jeanne’s first skyscraper project. The skyscraper project was the largest ever awarded to an American architecture practice headed by a woman. 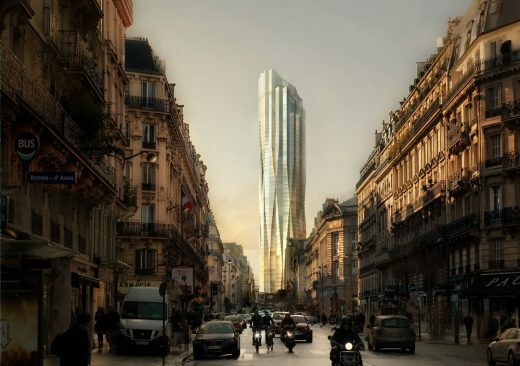 The building was awarded the Emporis Skyscraper Award as 2009 skyscraper of the year. Studio Gang was established by Jeanne Gang in 1997. Jeanne Gang, FAIA, leads this collective of architects, designers, and thinkers whose projects address pressing contemporary issues. Known for pursuing a future where the urban and natural worlds interweave, Jeanne’s work focuses on cities, ecologies, materials, and technologies.